In these two works for electric guitar orchestra, forty objects and forty-five objects, each player has a unique sequence of notes; there are 40 and 45 individual parts respectively. I tracked each guitar part individually in real time; these recordings carry subtle variances in timbre, pitch and timing as in a live performance by an orchestra. Recently I have written a series of pieces that are concerned in one way or another with the presentation of unique, and yet similar, events or objects. 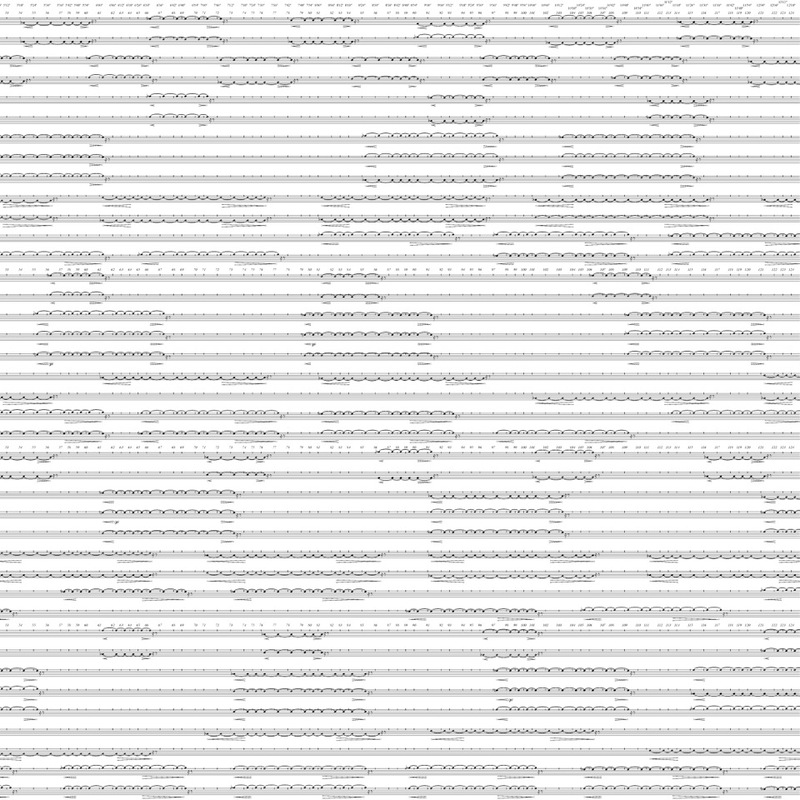 For example, in fifty objects (2007, for ensemble) and individual objects (2009, for orchestra), I made a sequence of unique musical objects that are closely related; over 5000 individual works (2007, for piano) a single performance, or individual work, is one of 5040 versions of the piece. all instruments performed by Ian Vine. recorded at first moon. mixed & mastered at first moon January-February 2015. "Both tracks feature elongated, discordant sonorities that threaten not to resolve, with the second being the darker of the two. The overall profile is dense and drone-like, but even within this density individual parts make themselves heard as if moving between foreground and background as harmonic patterns emerge and disappear, floating in and out of the frame." "These two excellent pieces consist of sliding drones generated by overlying electric guitars, lots of inner movements and conflicting partials doing the work à la Niblock, with faster alterations in the density of the contiguous frequencies." 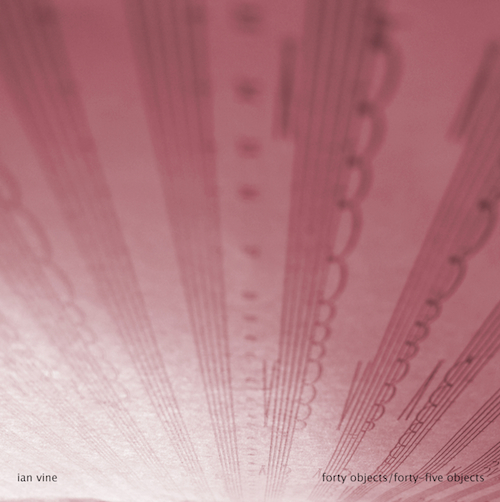 "...taking a page from the Rhys Chatham playbook, Ian Vine combines the sounds of dozens of guitars on forty objects/forty-five objects, smoothing them into a nearly opaque paste." "The music is very much for aficionados of the drone as the relentless, humming presence of these beasts will try the patience of listeners seeking more activity or free space. However, I had no problem immersing myself, paying close attention to as much variation within as I was able, trying to register and correlate the huge number of strands that pulsate along." "Vine has a completely different vision of the possibilities of a guitar orchestra, as reflected in these stable, healing, meditative tones. It’s quite unlike anything you might associate with “minimalism”, and while at first hearing you think he might just as well have attained the same results by overdubbing two harmoniums or electronic organs, in fact there is a lot of detail and richness at work here, and his hours of hard toil and craft have resulted in a payoff of near-immaculate production."